These are extremely small vanadinite crystals, barely forming a red haze in a seemingly featureless six dollar rock from Arizona. 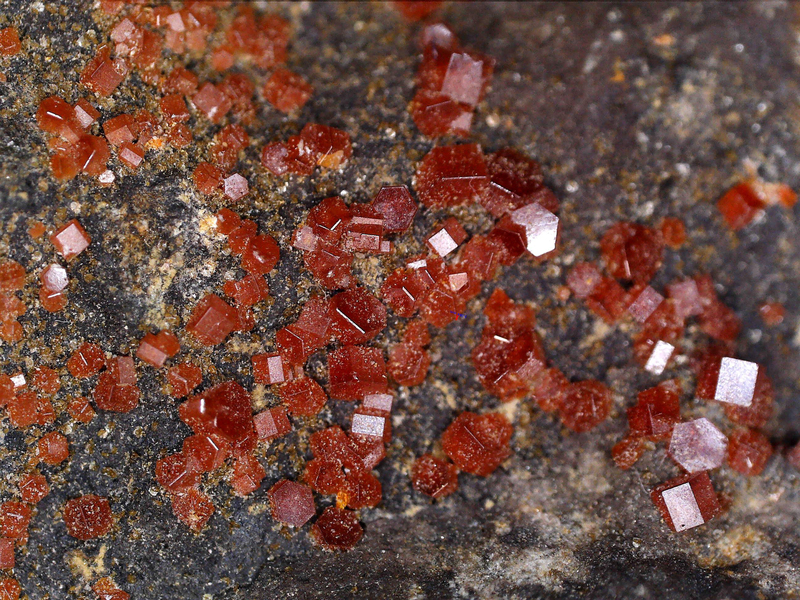 Under the microscope, they present a wealth of red, with a few showing vanadinite’s true hexagonal crystals. Click on the image for the Big Picture. Or here. I am suffering mightily with this new scope. I cannot get it to operate with my fast desktop Mac and I have been reduced to experimenting with an old Windows machine running System 7. The lag time between adjusting the scope and the images it presents on the screen is several seconds, impossible to do any meaningful work. Look at the second photo below. You can see the asbestos like fibers on serpentinite. And just for fun. 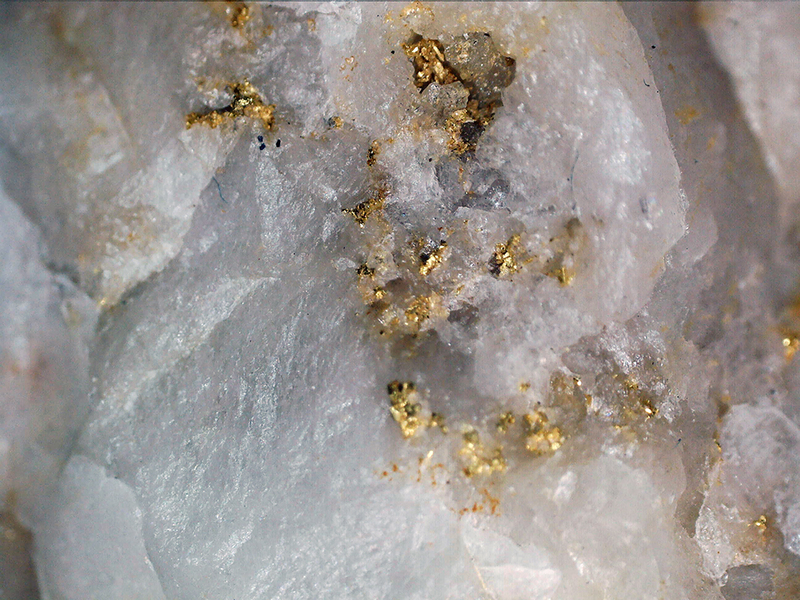 Gold in quartz self collected near Auburn in Placer County, California. 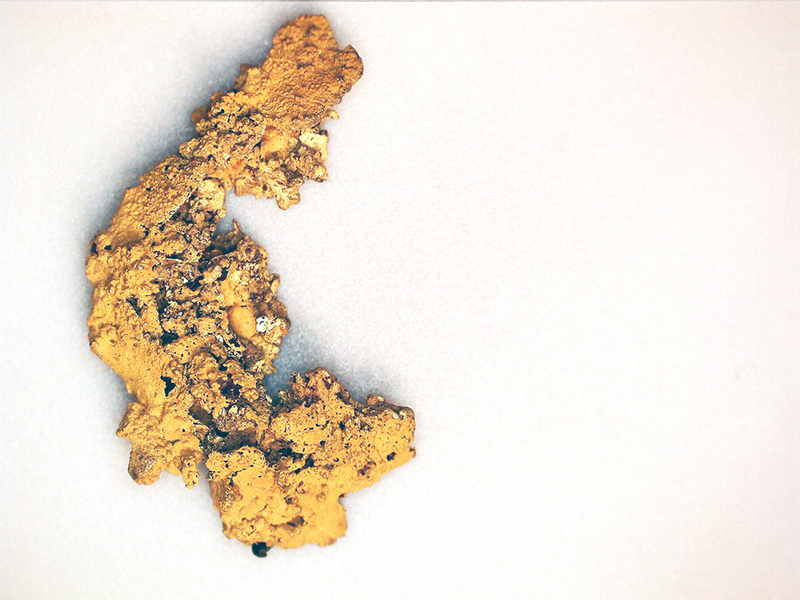 Self collected gold flake while dredging Oregon Creek in Yuba County, California. This entry was posted in Photography, Photoshop, rocks and lapidary, southwestrockhounding.com, Uncategorized and tagged close up camera work, macro photography, microphotography, mineral crystals, orthogonal, serpentinite, vanadinite. Bookmark the permalink.